By Philip Alpers. Small Arms Survey, Geneva. Special Report No. 5. 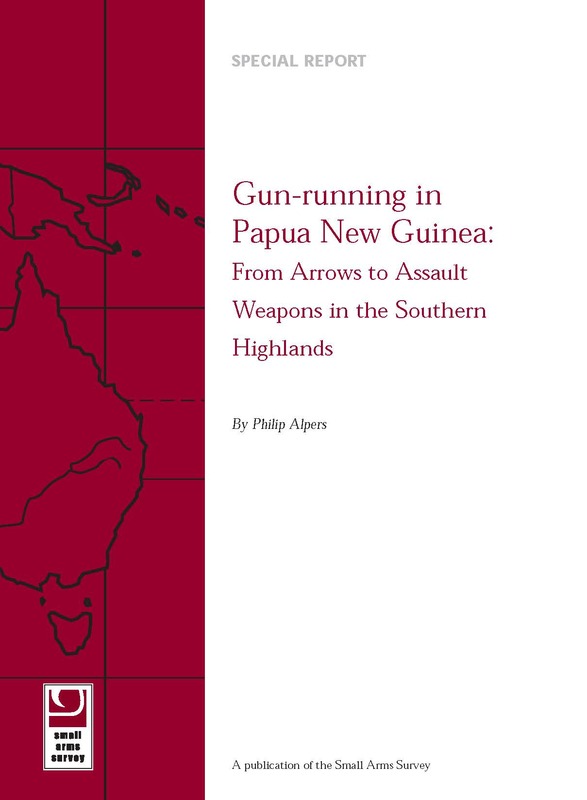 This field study focuses on PNG's Southern Highlands Province, a conspicuous hot spot for armed violence and gun-related injury. It provides a preliminary tally of illegal high-powered guns in parts of the province seen as particularly vulnerable to armed violence, and documents the profound disruption wrought by their misuse. Tribal fighters, mercenary gunmen, and criminals provide details of their illicit firearms and ammunition, trafficking routes, and prices paid. The most common illegal assault weapon is the Australian-made self-loading rifle, followed by the US-made M16, both of which are sourced primarily from PNG Defence Force stocks. Many of the remainder are AR-15s obtained from the PNG police.